Ballroom dancing isn’t just for period pieces or grandmas! If the city’s best fitness classes aren’t your speed, cha-cha and rumba dance classes will certainly get your body moving. Looking for a romantic date idea? Then steam things up with the tango. Maybe you’re simply hoping to imitate some of your favorite Broadway divas. 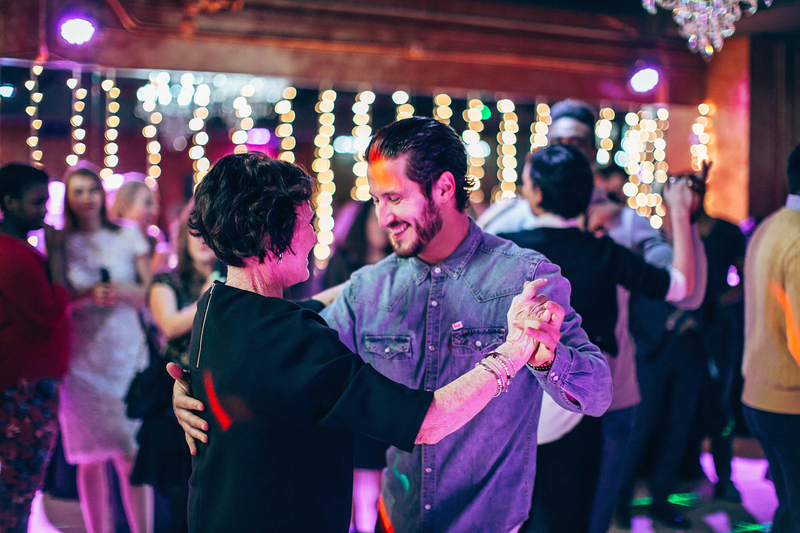 Whatever the case, foxtrot your way to these dance classes and get your Standard and Latin social dance on. The Upper East Side cultural mecca for adult education gives couples looking to learn the basics a four-session crash course. Classes are taught by Roberto Garcia, a professional ballet and modern dancer who is well versed in movement techniques. Make sure to bring a partner (the $140 price is for two students) and learn the basic six ballroom dances: waltz, foxtrot, tango, swing, rumba and cha-cha. 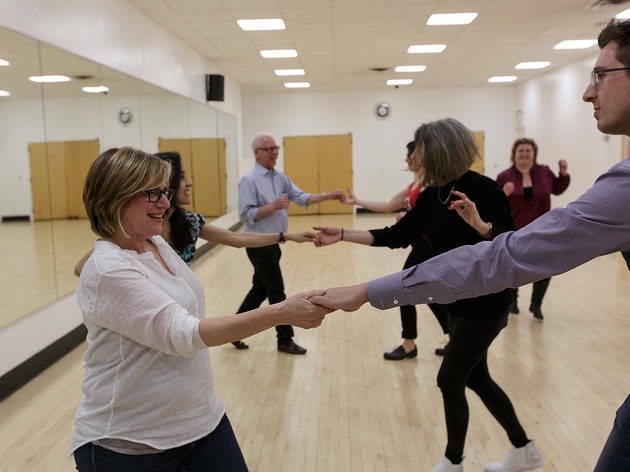 While best known for private lessons and wedding dance coaching sessions, this Forest Hills studio also has a great ongoing drop-in group class on Thursday nights. 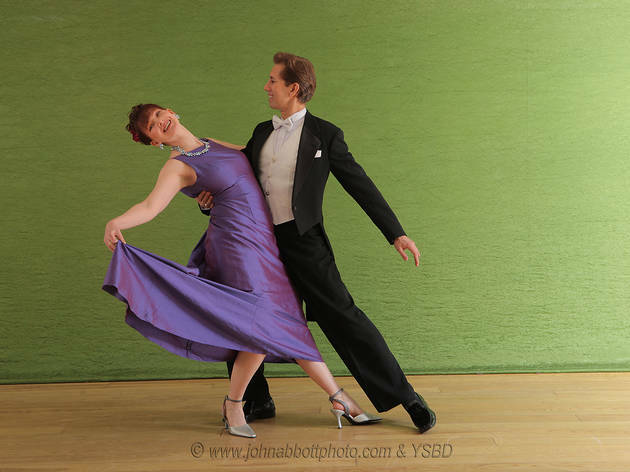 Channel Hollywood stars of yore like Fred Astaire and Ginger Rogers as you learn to waltz, foxtrot and even Bossa Nova. True dance beginners are recommended to try the group class on Mondays, when the focus is entirely on one of the standard international ballroom dances, perhaps the fieriest and most dramatic one: the tango. The mega Midtown studio, with nearly a dozen adult classes nightly, offers the most variety of intensive classes in the city. 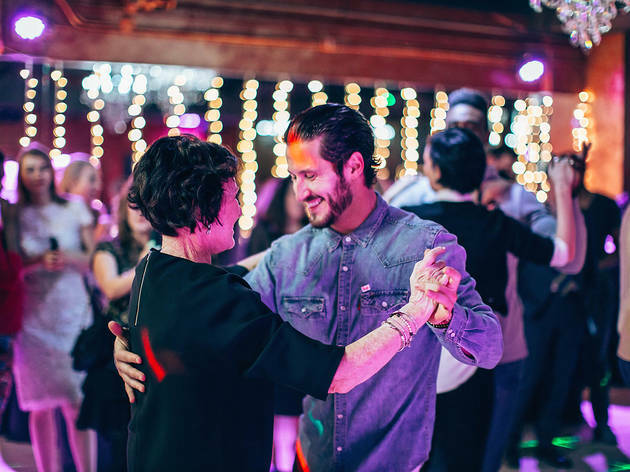 With specialized, multi-level, four-week sessions in foxtrot and waltz, Viennese waltz, Argentine tango and rumba and American cha-cha, dancers can master both American Rhythm and International Standard ballroom dances without having to rely on pricey private lessons. With locations scattered across Manhattan and the Tri-State area and a teaching staff comprised mainly of competitive ballroom dancers, Dance With Me studios are premier locations for those interested in getting serious about Latin, International Standard and American Smooth styles of ballroom dancing. Group and private classes are available, no partner is necessary and students are encouraged to show off new moves at the social dance parties held by the studios. Befitting its name, this large, open studio is dedicated solely to teaching the art of ballroom dancing. 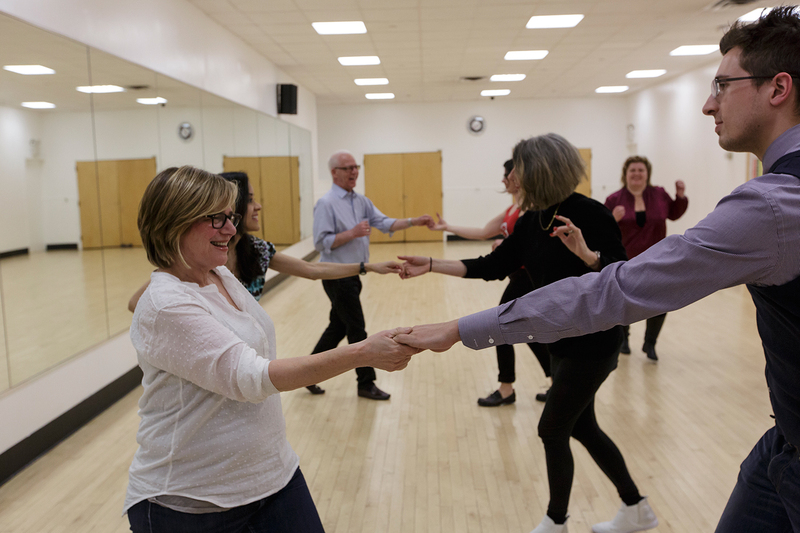 Though serious waltzers and trotters stick to private lessons with the first-class teaching staff, group classes covering Standard, American and Latin styles are offered Tuesday through Friday evenings. Check out socials on the first and third Saturday of every month—they’re not only a chance to partner up and show off your fancy footwork but to watch master instructors perform. Fans of the competitive sport should keep an eye on the studio’s website—internationally acclaimed dancers are known to stop and set up shop in the studio for special one-day workshops and private lessons. Sure, plenty of people take ballroom dancing as a serious sport, but at this studio, the style’s origins as a social activity are emphasized. The patient, friendly teachers take their time showing students the correct steps: During the four-week sessions, only three of the eight Latin and Standard styles (rumba, cha-cha, salsa, samba swing, foxtrot, waltz and tango) are covered so dancers can really master the moves before the following session, where another three are covered. Those who already have the steps down but could use some finessing should sign up for intermediate classes.